With over 8,800 buildings constructed before 1900, Bedford Stuyvesant is a treasure trove of historic properties. Many have been meticulously restored and retain a lot of their original features with Victorian brownstones featuring marble fireplace mantles and original moldings.With such a plethora of beautifully preserved craftsmanship, it's not hard to see why the neighborhood is a go-to destination for fans of 19th-century architecture. In addition to the traditional, there are an increasing amount of new builds that offer Bedford Stuyvesant Apartments and Bedford Stuyvesant rentals at a variety of price points. The neighborhood gains part of its name from Peter Stuyvesant, the last Governor of the colony of New Netherland and the other part from the small hamlet of Bedford, settled by the Dutch in the 17th century. The area remained mostly rural until the end of the 19th century when the district's development began to accelerate, and masonry row houses were constructed. During the 1930's immigrants from the American South and the Caribbean began to arrive and in 1968, the neighborhood elected the first black woman and West Indian American, Shirley Chisholm into the US Congress. With the establishment of the Bedford Stuyvesant Restoration Corporation, the community began a series of restoration programs to help repair the homes and sidewalks of the neighborhood. 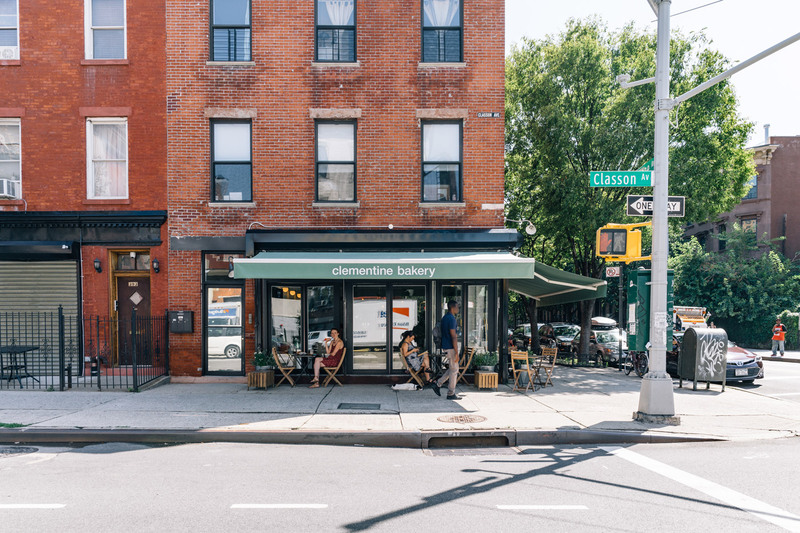 By the 21st century, new clothing stores, bakeries, florists, cafes, and restaurants opened in the area, and as a result, Bedford-Stuyvesant has become increasingly vibrant and diverse in its offerings. Founded in 1899, the bright yellow Brooklyn Children's Museum was the very first museum created just for kids. With a permanent collection of 30,000 cultural objects and natural-history specimens, it has a particular emphasis on hands-on learning. Initially named Tompkins Park, Herbert Von King is one of the first parks in the history of Brooklyn, with a design submitted by Frederick Law Olmsted and Calvert Vaux. In addition to its fitness center and baseball court, it has a Cultural Arts Center and holds concerts at their outdoor Amphitheater. 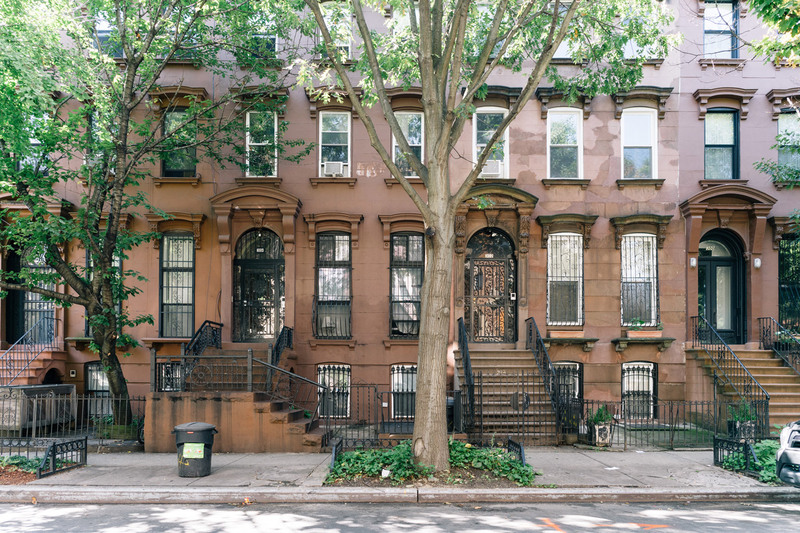 Encompassing 17 blocks and consisting of 577 buildings, the historic district is full of late 19th-century brownstones all with their unique history. It's the perfect place to stroll around and soak up the ambiance of the neighborhood. Named for a famous community activist and environmentalist 'The Hattie Carthan Community Garden' has helped preserved the area's agricultural heritage. The garden features mushroom patches, chicken coops, herb gardens and fruit trees, with food grown there sold at the community farmer's market. New York natives Achuziam Maha-Sanchez and husband Lionel Sanchez have created Peace & Riot, a store selling a range of tasteful interior items from decorative accents to furniture pieces that are a perfect fit for the beautiful brownstones that surround them. There are many vintage clothing stores in the area, and one of the best is Harold & Maude. They sell a vast range of well-chosen clothing for everyone from babies to adults as well as accessories, shoes and home decoration. They are also creating their own line, using fabrics sourced in Japan. Alternatively, there is The Meat Market, a quirky space that has an ever-changing selection of vintage clothing, as well as popup film screenings and art events. Jordan Heads is a shrine to Air Jordan sneakers. Here's the place for sneaker aficionados to get those exclusive shoes you always wanted as a kid as the store sells both new and vintage styles. To complete the look, you can pick apparel from the 80's and 90's as well as artwork, keychains, and posters. With hand-drawn portraits on the façade of this Italian restaurant, Saraghina has a quirky, vintage store vibe and an outdoor area to enjoy in the summertime. It serves small plates and pasta but is best-known for its beautiful Neapolitan-style pizzas. Peaches is a Bed Stuy institution that serves southern food like grits, blackened catfish, and cornbread and is an excellent place for brunch. Its sister restaurant is the Peaches Hothouse, a country cafe that serves authentic regional classics like spicy Nashville Style Hot Chicken, fried green tomatoes and barbecue shrimp. There are also a couple of great date night spots in the neighborhood. Hart's serves Mediterranean/American food from a menu that changes daily, while L'Antagoniste is a French restaurant that offers steak frites and old-school classics like duck l'orange. Pilar Cuban Eatery serves up an authentic taste of Havana with classic dishes like shredded steak and black beans, vaca frita and pressed Cuban sandwiches in an airy, modern space. There are also sidewalk seats for those who want to eat outside. Finally, Brooklyn Kolache Co. makes Texas-style kolaches from scratch. You can enjoy this fluffy, fruit-filled Eastern European pastry with an espresso courtesy of Kitten Coffee. Next door to Chilo's restaurant is C'mon Everybody. This lounge has a bar up front as well as a music and performance space in the back, which offers plenty of room for dancing. It has both live music, DJ sets and special events like burlesque nights. Featured on both NBC and in the New York Times, Sanofka Afan Bed & Breakfast honors Bedford Stuyvesant's musical heritage with Brownstone Jazz. Here you can see live music from celebrated performers on a Friday and Saturday night in an intimate setting. There's a unique country feel to Dynaco where you'll find a long wooden bar, western tapestries and framed vintage photos. The place is often packed and serves an excellent selection of draft beers with distinctive names like Evil Twin's Low Life. Meanwhile, Casablanca Cocktail Lounge has a vintage feel and brings together a diverse crowd who enjoy reasonably priced drinks at the bar and dancing to DJ's spinning old-school hip-hop or soulful R &B. Lastly, Bar LunAtico invites you to come early and stay late with its engaging blend of craft cocktails and live music with bands playing everything from jazz to Brazilian.